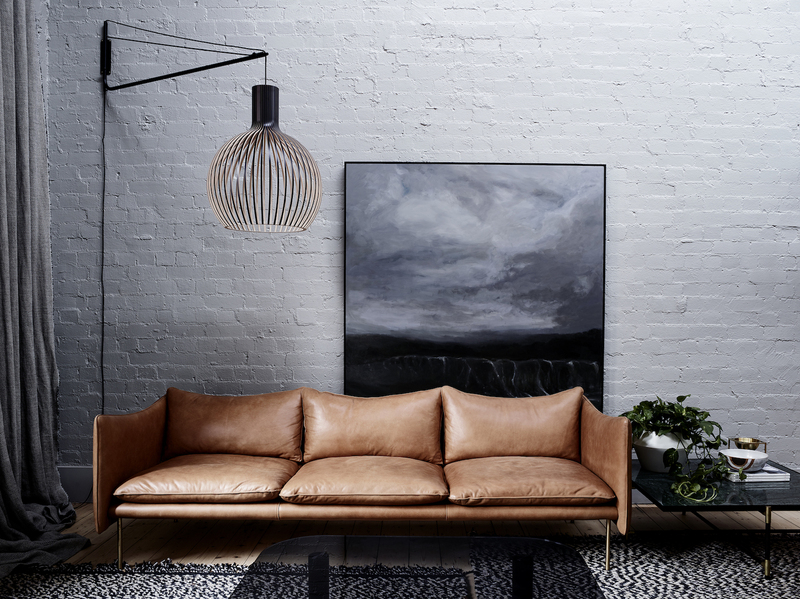 Beneath the historic beams of an iconic Collingwood warehouse in the famed Foy & Gibson precinct is the Melbourne home of Fred International. 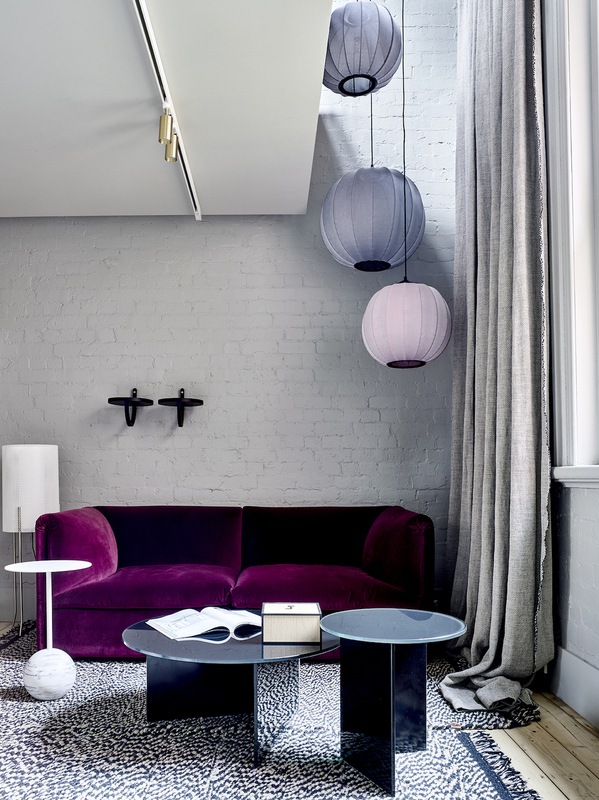 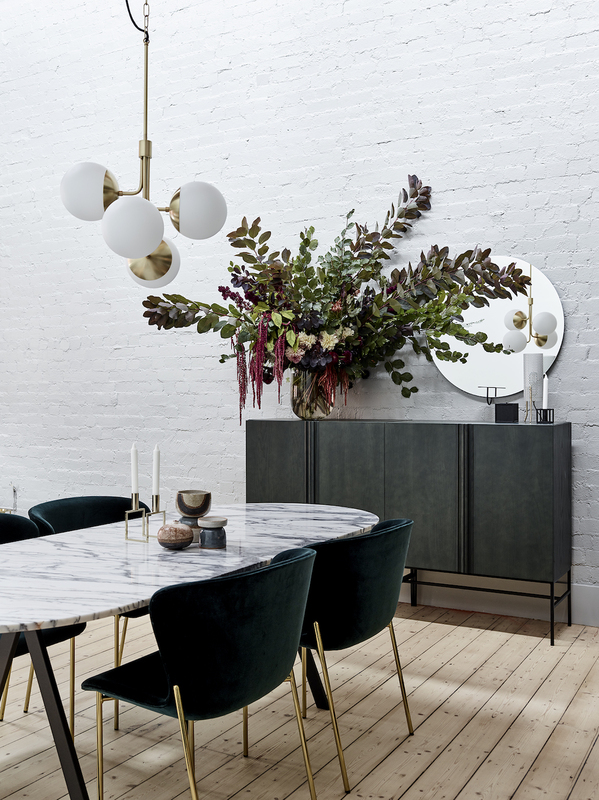 The brief was to create an apartment style showroom for Fred International’s Melbourne base – part apartment, part showroom with an aesthetic that is distinctly Melbourne. 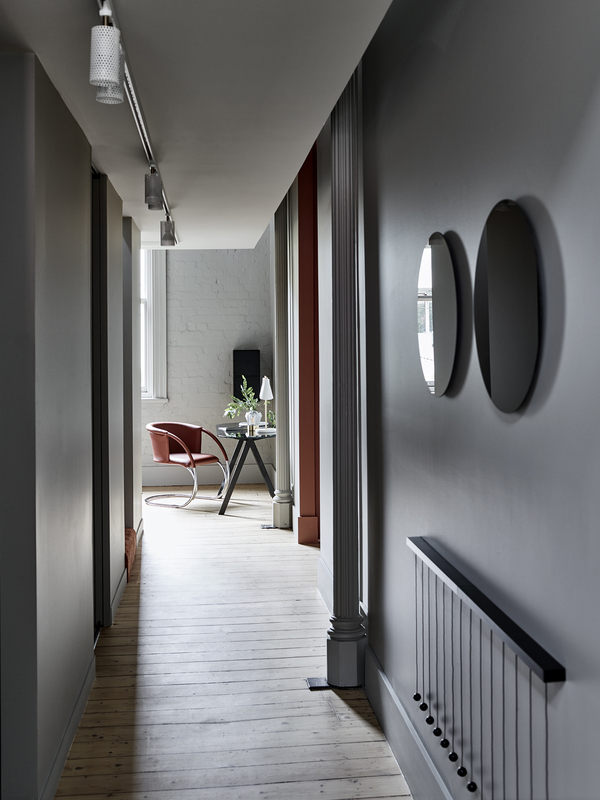 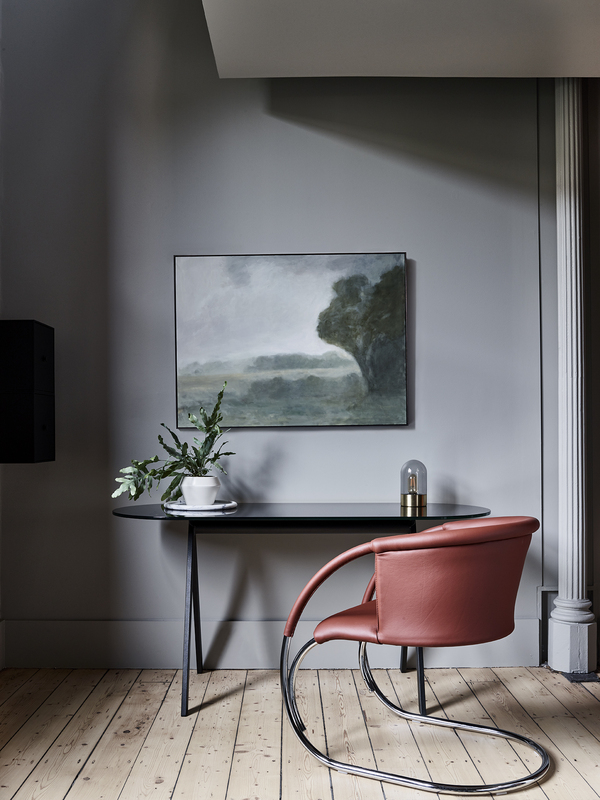 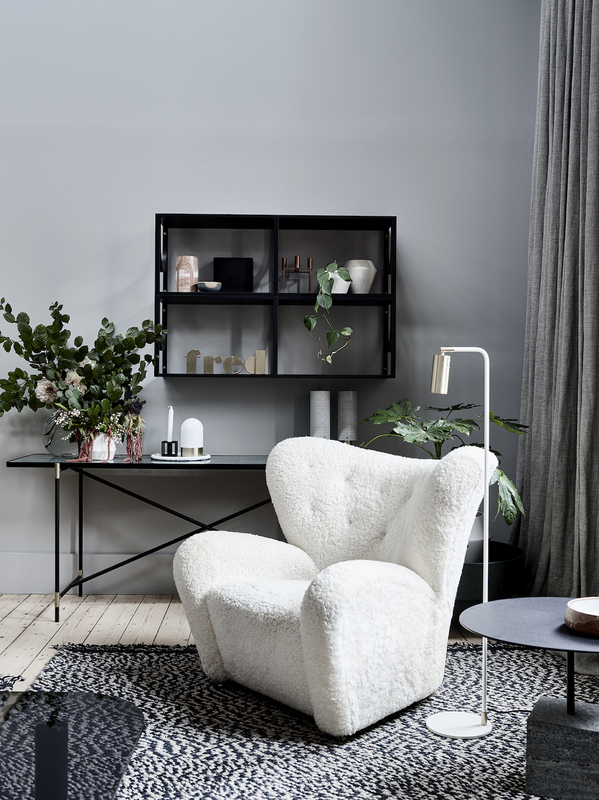 Angela wanted to push the boundaries of how we think of typical clean and minimal Scandinavian design, this meant opting for a darker, sophisticated, moodier palette; with a hint of Collingwood edge. 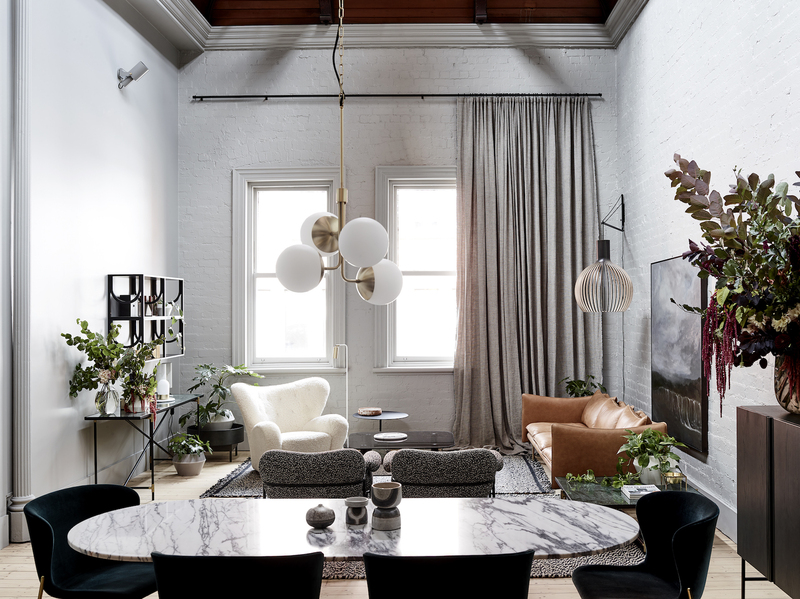 Embracing the building’s heritage bones, careful consideration was given to removing layers of previous renovations, and filling the space with a light, restrained approach to new materials and finishes. 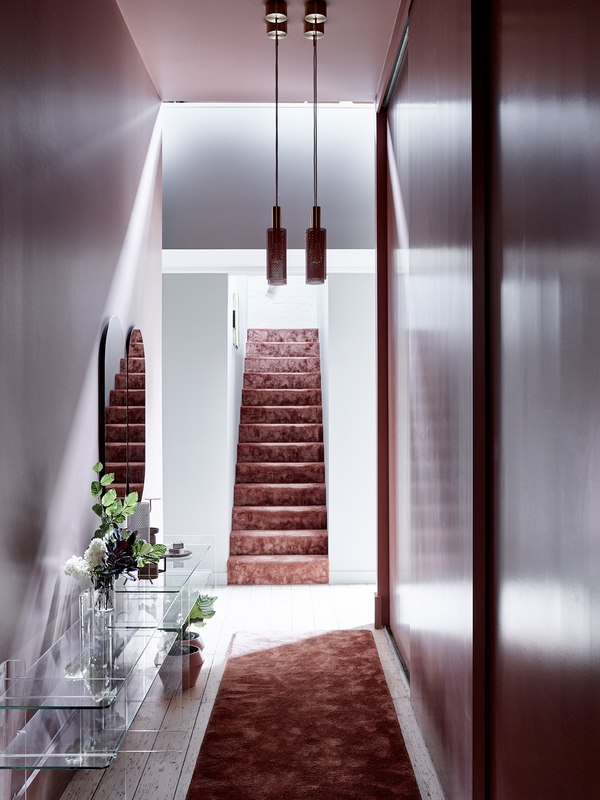 Selecting a single shade of grey for the predominant space meant the original heritage detail and textures are celebrated, giving the freedom to be bold in the entryway with contrasting rich terracotta walls and lustrous carpet. 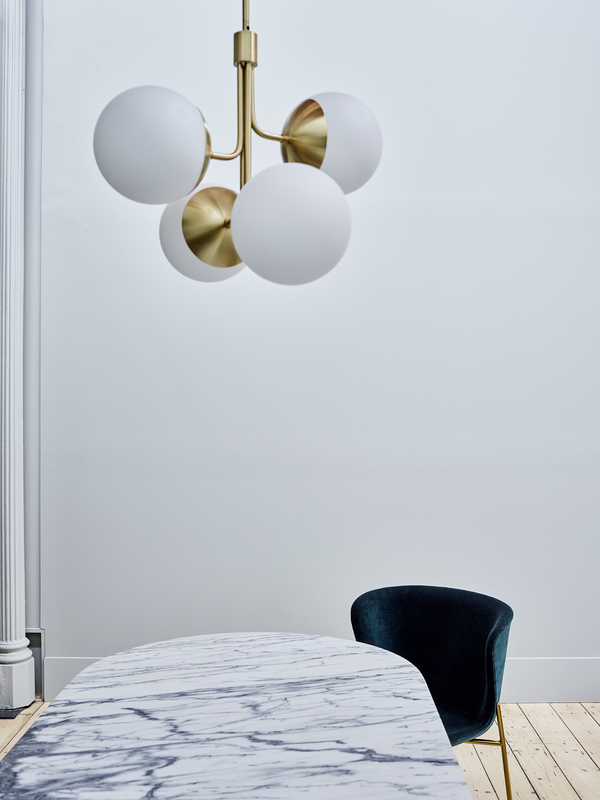 New and iconic furniture and lighting was selected from the extensive Fred International collection for the finishing touch, including a cluster of beautiful custom-coloured pendants to match the bold entrance. 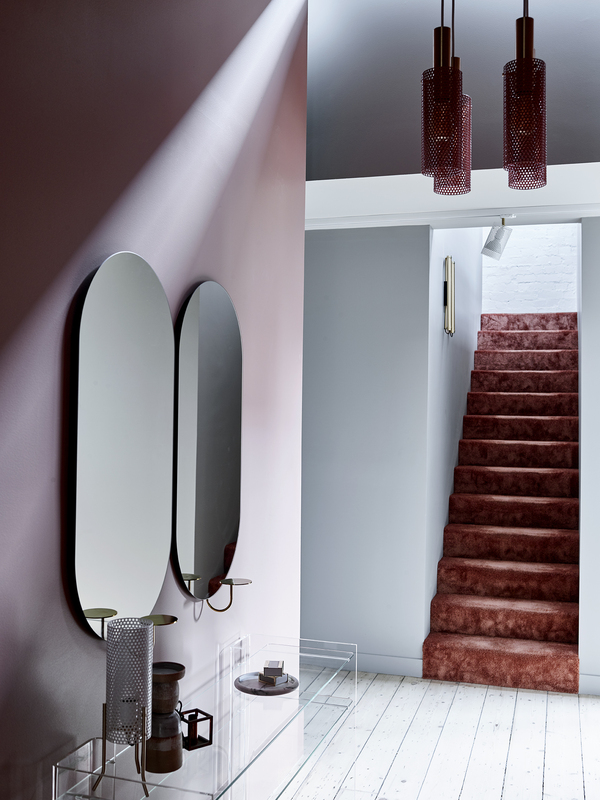 Colour is expressed through the materials themselves; cognac leather, marble, terrazzo, brass and smoked glass, with the exception of an intense wine-red velvet sofa and dining chairs clothed in the deepest sea green. 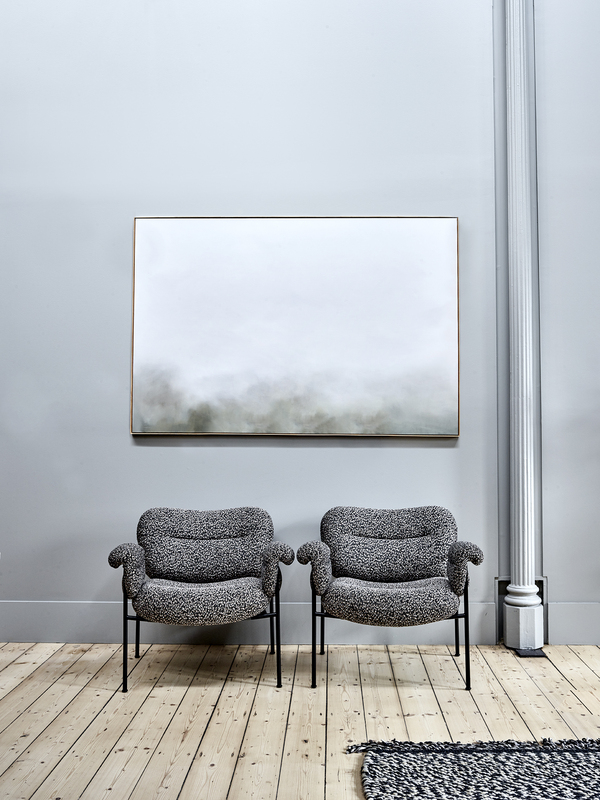 Fred International director Melissa Walker says the space allows for an ever-changing curation of the brand’s evolving offering.